The #1 stock to buy right now! Orion Healthcorp (ORNH) could be the MOST UNDERVALUED and undiscovered stock in the WORLD! YET with MILLIONS in revenues and 2017 updates this stock could be a golden lotto ticket! Orion Healthcorp (ORNH) is trading in the low sub-penny range it is EXTREMELY UNDERVALUED! With 2017 updates on it's website Orion HealthCorp (ORNH) appears to be a wonderful turnaround story! Orion HealthCorp (ORNH) is today one of the largest Revenue Cycle Management Companies (RCM) in the United States, simply put they help Doctors, Hospitals and Medical Facilities get the money they are due from patients and insurance companies! They are a leader in this field working with 3,700+ healthcare organizations spanning the nation! With revenues currently estimated at $16 million and a tiny share structure listed at just 12.7M O/S they appear incredibly undervalued! Here is what is AMAZING, back in 2008 according to SEC filings Orion Healthcorp (ORNH) did about $8 million in NET REVENUES. Today in their own words they are now "America's Top Revenue Cycle Management Company" and have grown and expanded across the US. Headquartered in Houston, Texas, Orion employs 2,000+ employees with outlying offices in California, Colorado, Georgia, New York, and Pennsylvania. Estimated revenues now are DOUBLE around $16 MILLION making them EXTREMELY UNDERVALUED trading in the sub-penny range! which illustrates just how UNDERVALUED and under the radar this stock is. If you used conservative revenues from way in 2008 from SEC filings by the company you would take $8 Million and divide that by the O/S count of 12.7M it would give you a share price of 62 cents a share! If you the estimated NEW revenue figure of $16M that would give you a share price of $1.24 based upon the O/S count of 12.7M shares currently listed ion the OTC Markets. AMAZINGLY On Friday June 9th 2017, the share price of Orion Healthcorp (ORNH) closed at .0030 cents a share! In a recent 2017 Orion Healthcorp (ORNH) blog post the company states referring to themselves that "The best of 2017’s Revenue Cycle Management services is one focused on increasing your healthcare practice’s bottom line. For over 20 years, Orion HealthCorp has steadfastly increased profits for over 3700+ healthcare providers spanning the United States"
More About Orion HealthCorp, Inc.
Orion HealthCorp is one of the largest Revenue Cycle Management Companies (RCM) in the United States servicing healthcare providers from the single physician practices through multi-specialty clinics and hospitals. Providing innovative technology solutions combined with the dedication and professionalism of our 2000 team employees makes Orion a leader in healthcare RCM and claims processing. Our innovative process is designed to maximize revenue while reducing operating expenses and creating an efficient workflow. Our ability to produce software customized for your needs or to integrate our solutions with existing systems is what places Orion above the competition. Orion HealthCorp uses it's uniquely built PARCS - Pegasus Account Receivable Collection System, an enterprise engine that enables the complete processing of claims and offers a wide-range of reporting services. Highly automated, PARCS accelerates billing and claims processing through intelligent integration of claim data. PARCS decision support and reporting enable a practice to view the appropriate information in "real-time," resulting in effective decision making and improved management of the revenue cycle process. 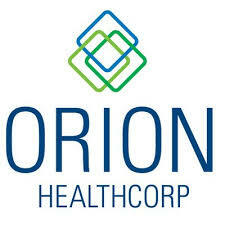 Now is the time to buy shares of Orion Healthcorp (ORNH). It appears that business is booming for this medical coding/billing company! With 2000 employees and working with 3,700+ healthcare organizations spanning the nation, with new current 2017 entries on it's website it is predicted that the company will be filing to become current on the OTC at anytime! One thing appears certain, the share price is RIDICULOUSLY UNDERVALUED as is the market cap, now is the time to buy shares of Orion Healthcorp (ORNH) while it is under the radar and trading near historic lows!